We’re learning. We’re doing a better job at keeping trucks out of the shop and out on the road earning money, but it’s been a long, steep learning curve. Ever since the first diesel particulate filters appeared in 2007, fleets have been struggling to diagnose problems and make the necessary repairs. One of the greatest hurdles has been confusing messages and sometimes misleading information. Various sensors are often the culprit, but for the technicians working through the problem, the troubleshooting exercise was at first new and unfamiliar. 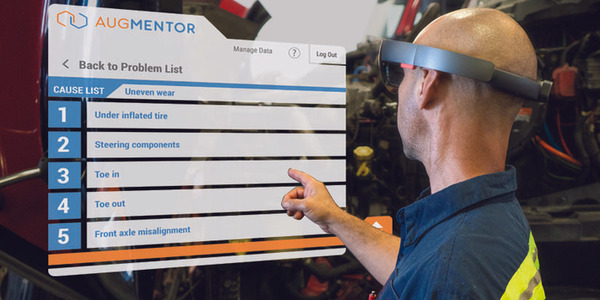 Each new generation of engine, and indeed mid-generation updates, brought new fault codes, new troubleshooting trees and more complexity in making the diagnosis. How much more complex? About tenfold. However, Mangione says equipment manufacturers have learned to scale back on what information they present and how they present it. Previously, he says, “every time they turned on the dashboard light it created a problem for the driver. And that in turn created a problem for the shop. They had to decide whether the problem was serious enough to force the driver to stop. One can imagine the scope of the problem at a company such as Penske Leasing, with its 246,000 trucks and 70 service locations. Mangione says every truck will have its share of problems, which means every technician is going to see a problem for the first time. However, many of those problems will be repeats, and the same faults will arise. The challenge then is to make it easier for the technicians to access an internal database of solutions. 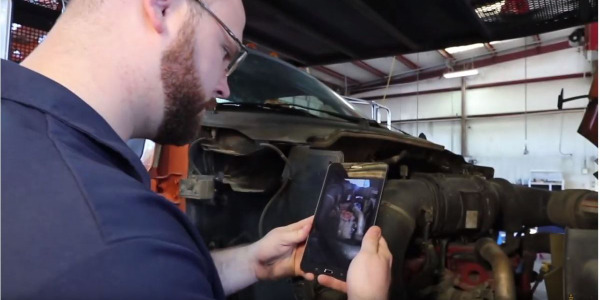 The idea of equipping the technicians with tablets arose from an in-house study that Penske did several years ago, mapping the technicians’ time and travel through the shop just to access the information they need to tackle a problem. Mangione says they were walking back and forth to a computer that was plugged into the wall to get information and diagnostic data, then walking to the printer to get wiring diagrams, and wasting tons of time. And of course they have access to the How-2 videos as well. If that’s not enough, an in-house help-desk staffed by senior technicians can talk the shop-floor tech through the problem. 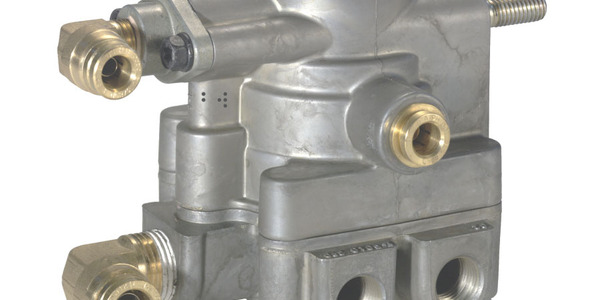 Proactive emissions system service can prevent costly breakdowns, especially when routinely performed during PM checks. 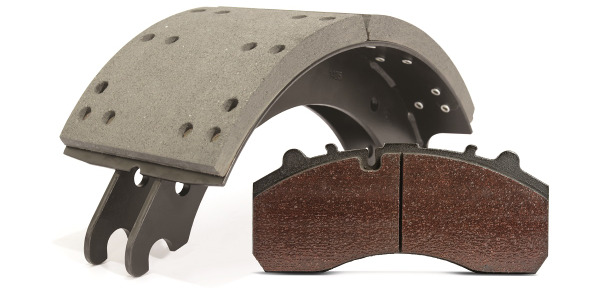 Fleets are beginning to understand that to prevent an emissions system-related problem (or other causes of downtime), they have to stay ahead of it, and fix it before it causes a problem at roadside. 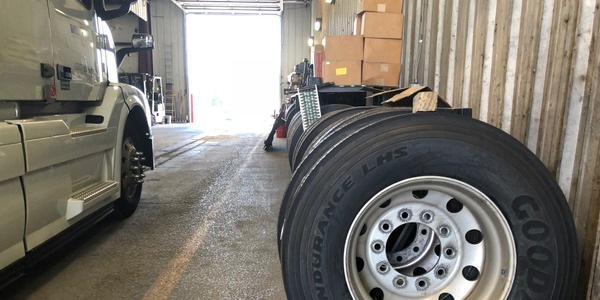 To address troublesome DPFs, fleets are starting to do pre-emptive regens in the shop during the routine preventive maintenance service. 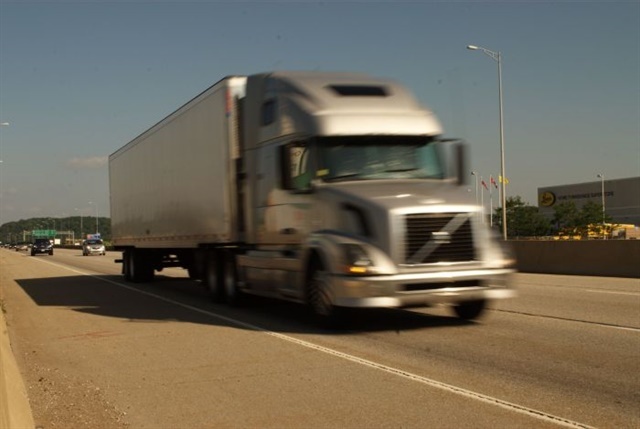 It’s a scheduled procedure, so a driver on the road won’t be forced to decide whether to stop and do a parked regen and risk missing the delivery appointment, or push the truck a little further. Timothy Dzojko, fleet engineering specialist for Pennsylvania-based Air Products and Chemicals, says he was reluctant at first to do regens during a PM. Dzojko says the DPF cleaning intervals are much better with current model trucks than with previous models, so that helps. He believes the PM procedure is helping reduce the frequency of roadside parked regens. 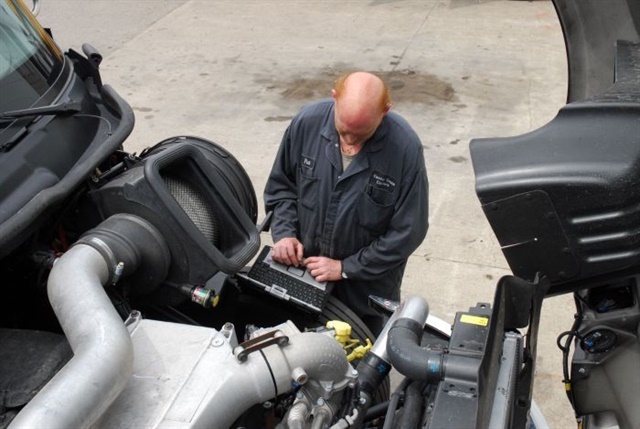 Taking working parts off a truck may seem counter-intuitive, but predictive maintenance turns unplanned downtime into a routine maintenance function. Randy McGregor, fleet manager at Transway Inc. in Holland, Michigan, takes preventive and predictive maintenance seriously. He groups the fleet of 100 trucks into similar operating environment and applications and tracks the fault codes and maintenance needs based on duty cycles. 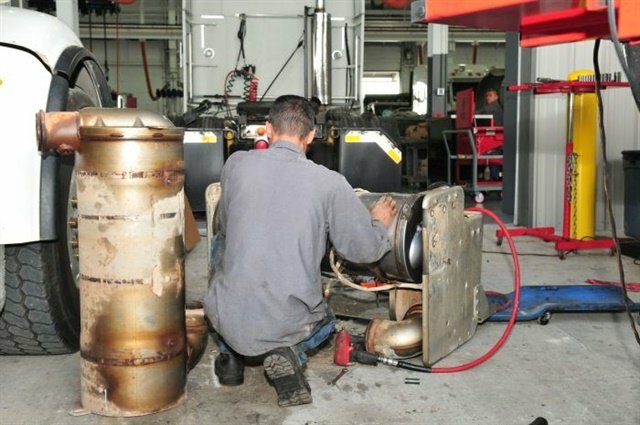 As an example of staying ahead of a problem, as winter draws near, he cleans all the pressure tubes in the exhaust gas recirculation (EGR) cooler. Past experience has taught him that with the colder weather comes more moisture in the tubes, which causes soot to gum up the inlet and outlet ports. “We have had problems there before, so we now eliminate the source of the problem before it puts the truck down,” he says. When selective catalytic reduction first appeared in 2010, McGregor noticed problems, mostly fault codes and warnings rather than hardware problems, but it was a big concern for drivers. He started matching the fault codes to the operating conditions, looking for patterns he could track. He watched percentage of engine load, elevation, fuel consumed and more. Sure enough, patterns began to emerge. 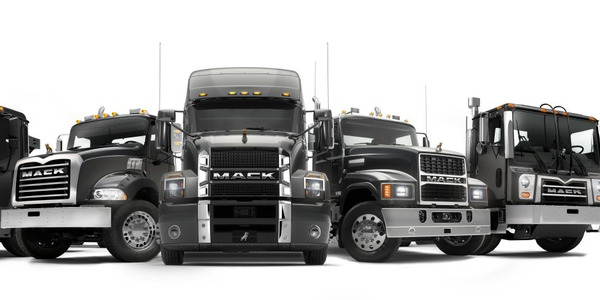 Technicians with the right tools and the right training will help keep your trucks out of the shop and out on the road where they belong. Mechanical stuff can break too, so don’t think keeping an eye on only the fault codes will keep you completely out of trouble. Billy Loller, vice president of maintenance at Alabama-based J&M Tank Lines, is a firm believer in oil sampling, and not just to extend service intervals. Darry Stuart, fleet maintenance consultant and frequent moderator at the Fleet Talk and Fleet Forum sessions at ATA’s Technology & Maintenance Council meetings, says many of the problems fleets are having with emissions systems and engines in general are the result of some other failure, such as a coolant leak that contaminates the DPF. Coolant will foul a DPF and could cause it to crack if hot spots appear on the substrate. It’s the same with an oil leak. That can wreck a DPF too, and you won’t see the blue smoke you would have in pre-emissions-regs engines. “PM remains a good time to do all the electronic checks as well as the quaint old checks we have always done ... haven’t we?” asks Stuart. 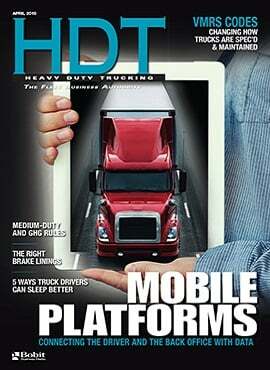 The current generation of trucks, GHG17-compliant, are so far performing well, we hear. 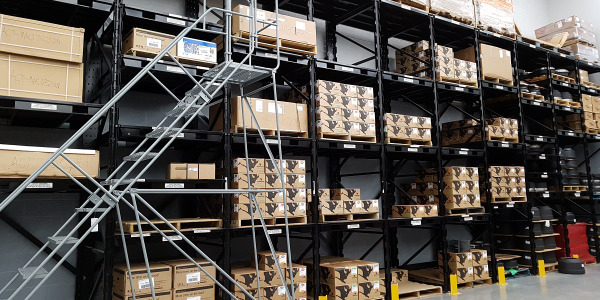 There might be problems in the future, but today’s advanced diagnostics, coupled with telematics and the analytics capabilities on most trucks today, makes predicting the next problem a little reliable. Nobody wants to pull a part too prematurely, but if several trucks in the fleet are having a problem, there’s a good chance others will, too. 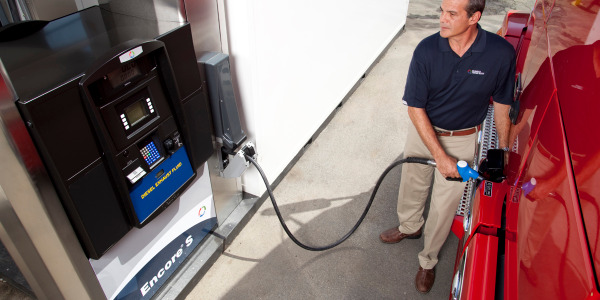 Penske’s Mangione uses a 5% threshold before he’ll seek OEM intervention. “If we see a failure rate in any similar group of trucks, anything above 5%, that’s when we’re on the phone to the manufacturer,” he says. As we move forward and the technology improves, we can still apply the hard lessons learned in the early years of emissions-system-equipped trucks. Don’t wait for problems to crop up. Expect that they will, and search for clues as to what might be causing it. An extra hour spent on a PM could save you a day or more out on the road. CORRECTION: Gregg Mangione's title was originally written as the senior vice president of maintenance at Penske Logistics and was corrected to Penske Truck Leasing.